We are on the ingame map around Q 20. Many people of Indy might remember slight attempts to dig a canal between Crystal lake and the Elysian Lake since Indy started, but this important Infrastructure connection was never started for real and never finished, until now! I am proud to announce to you, i have dug and mined for weeks to present you this grand Canal and Tunnel, and hopeing it might even appeal to GM team. I started the digging around when Haven landing was founded as well December 2018, the dirt layer in the area is very high, the rock layer very low. I finished the Canal and Tunnel parts this week mid February. The look from the Top of the Hill, faceing to the north - The marble brazier pillar act as lighthouse, guiding ships savely into the Canal! The South Exit - On the south side i found a few Silver veins, so i decided for Marble white colors, which also makes the normal gloomy cave look much brighter! 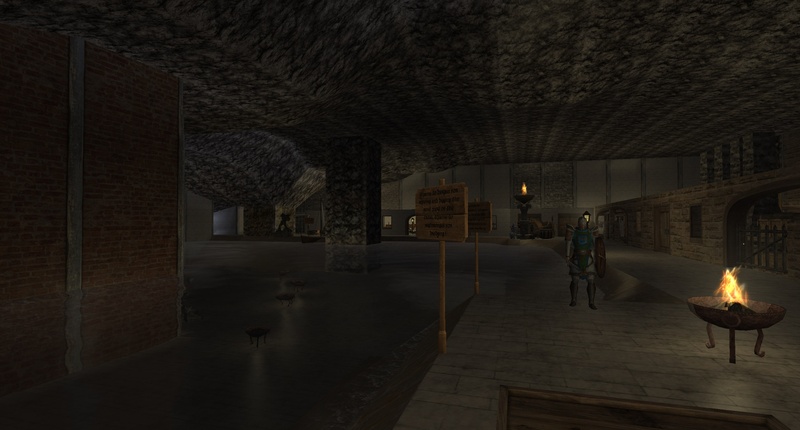 Edit: My South Haven Canal on Q 20 allows every ship type, however if you sail to it from the south coast, you have to sail throught a tunnel at the south-eastern side, which is deeded by Damascussteel, who seems to pause the game right now, since December. This tunnel might not be useable by all ships, i have to look into that. 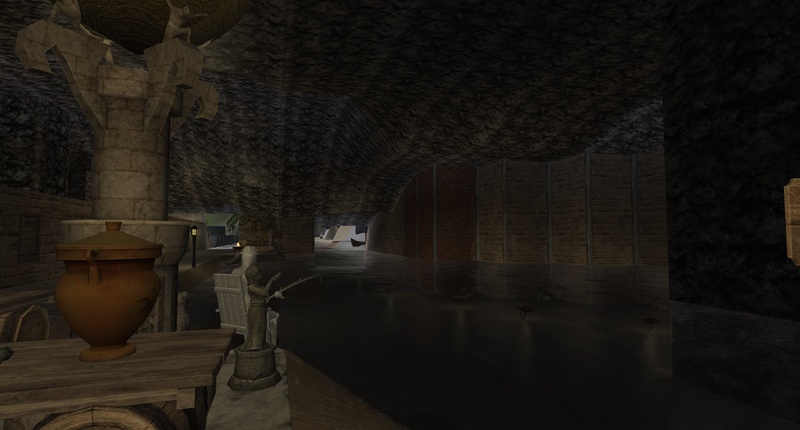 Perhaps @Damascuscan message /pm me on forums or ingame about that area, in a post below i had seen you answered Wurm is waiting for you, come in and join me again with the mineing, we had fun! Until i have more intel, please be careful if you come from the south coast. The sailing from north lake to south lake through Q 20 area, is deep enough for all ships. 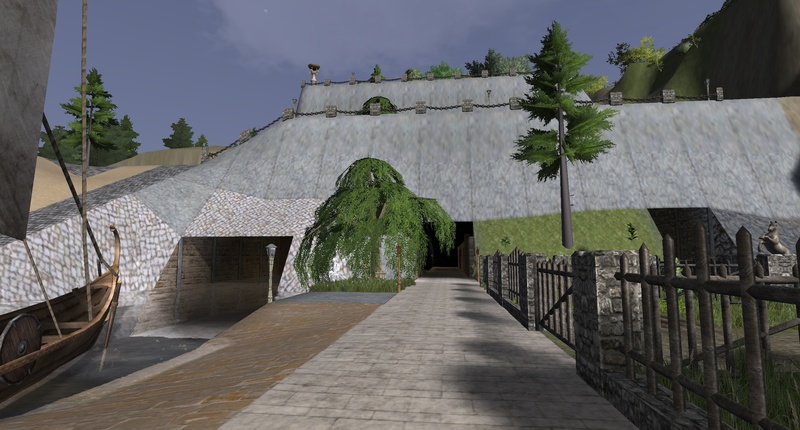 Edit2: Damascus finished the South Part of the Canal! Hurray! And thank you a lot! The South part is now 2 tiles wide deep channel 25 deep, which allows all ships, even your very biggest Caravel! 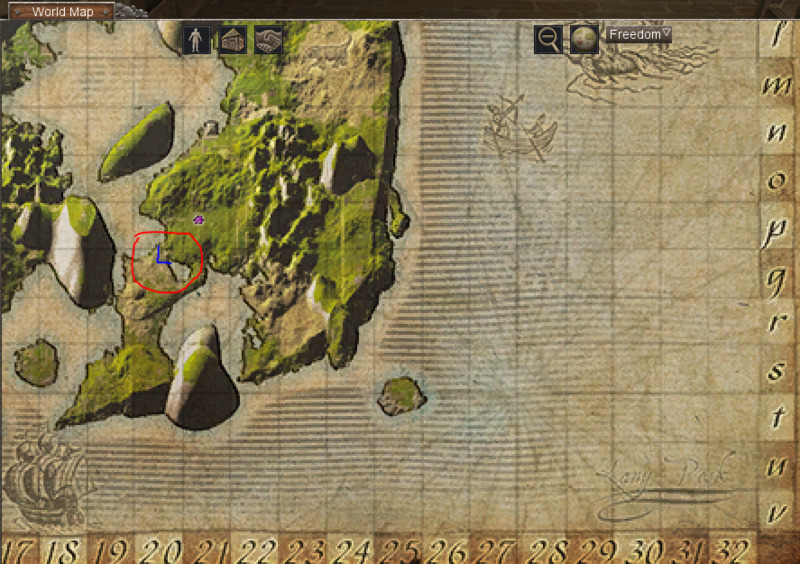 The whole Elysian-Crystal Route is now sailable and deep enough! I want to Thank Damascussteel, who made this project possible, for he mined the connection into the lake South-east of this canal last year. He also helped a lot with mineing and collapsing the Mine openings. I want to Thank @HughMongus, the leader of the Albia alliance, for putting the canal onto their community map, and Webleywickers for helping in digging, mineing and dredging. I also want to Thank my neighboring deed mayor @Voochand his Villager Thicket supporting the project with lots of delicious meals and pizza and lots of alcohol such as met and moonshine! Very good kitchen! I want to thank various players in the Freemasons alliance for donating parts for many support beams! 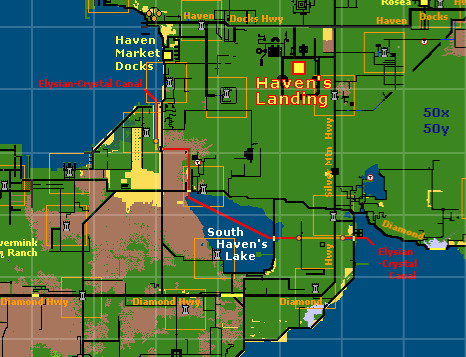 And now, i declare the South Haven Canal open, you can come and sail through, you can sightsee the area, easy to find around Q 20 on the ingame map, and on the Indy community map organized by Hughmongus. Have fun and have a good wurmy-Day! Perhaps i upload more screenshots later on. Nice work the community thanks you. ....as I am busy preparing a conference (on going education) this weekend , I will be brief and then must log off and pack my bags for a 10 hour road trip tomorrow morning. Daryan, My thanks to you for giving credit to those who helped you and yes a massive amount of dirt was shifted. My pleasure to help you with the Large Crates and BSB's you needed for your dirt sales from dirt dug on NW part of the Elysian-Crystal Canal project. It was fun running several knaar loads of Large Crates and BSB's over to you back in December. ..... only the North West part of the project thru Daryan's deed to South Haven Lake is deep draft vessel capable. Also, Enki has inspected the South Eastern canal-tunnel portion of the Elysian-Crystal Canal project and now knows what is going on. Enki has been informed about the Original Project Leader going "on a break" mid January and that the Albia Consortium stepped forward to ensure the completion of the project, including the dredging, underwater mining and reinforcing necessary, to complete the South East canal-tunnel portion of this two part canal system up to heritage standards. ...... as discussed with and agree to with the Original Project Leader awhile ago, who also gave the lake in the middle of the project its name "South Haven Lake". The Original Project Leader is currently "on break", but he did send a forum PM mail Skyefox before vanishing, asking that he remain anonymous. We are respecting this request and will abide with it. The Canal was added to the Albia Map using the agree upon name when it became operational for use by Rowboats, Sailboats and Knaars three weeks ago. No further discussion will be entertained on this, we grow weary of your attempts to badger us into changing a name already agreed upon with by the Original Project Leader, which actually describes what the canal connects, Elysian Bay to Crystal Lake. ... I am off Wurm for the weekend to go to a conference, have a good weekend. Since Enki himself has seen that the southeastern portion (not through Daryan's deed) remains incomplete, perhaps it would be reasonable to name the north section (which has been completed by a real deed owner, and not a mysterious and conveniently anonymous person) in accordance with the deed owners request. I'm sure this won't actually be considered, just wanted to make sure it was in the thread so nobody can say no reasonable alternatives exist. The south section had been halted , do to Haven being built in secret and area deeded ..
You can use kanarr no problem at all for it . That's the area by Glasshollow market people , who will be able to expand there deed over the reinforced tiles to be removed soon as said player above is gone .. If you feel the need to , make it in real life were it counts as something good for others.. Regardless of the name or other issues, grats on the canal. This was very very much needed and I have already used it several time. Much appreciated. Hello! Thanks a lot for the congratulations My pleasue to complete it as quickly as i can. Hello! You do still visit the forums! I did not see ou ingame since December, i hope you return to the game soon, you have deeded the South-East part and then a day after that vanished without saying anything. Please try find a bit of time for wurm, and give permissions to build on your deed, so it is possible to finish the south-east part. to me the South Haven Canal is a project for itself, a heritage site can not run throught the whole lake and end on the other side, imo. I did not speak with Enki about that and i don't know about anyone else asking him or any GM about it. I guess you are right, south -east of my canal, there is another tunnel ... I should rename my topic here, that it does not allow all ships.. correct, thank you. I'll change that. Yes, that is what I was saying. The two tunnels should be considered independently. Excellent work and congratulations to *all* involved in it. My guy visited there a few weeks back and was very impressed by being able to see the vast time consuming terraforming that was done. I am sure others will marvel at the determination it took to achieve these results and will also appreciate this whole area project for that, as well as the functionality it serves for ships passage. I look forward to taking a jaunt over there again soon to see these latest additions. These nice screenshots encourage that too. Well done! Congrats on the completion, you did a real decent job! As for the name, i could not really care. But i do feel that this should be two separate canals, and that you can name the NW canal whatever you want. This is your work, your deed, your credit. Whatever happens to the SE canal remains to be seen when time does its thing. Current status of this Canal section - no heritage yet. Understandable, that more players in the vicinity create higher need for changes .. but in the current population decline, i have troubles finding ANY place with "lots" of players. Imo, that makes Heritage projects harder to finish than it would have been a couple years ago, in Wurms golden age, or maybe you just need to have the right friends in the right positions. I'm exhausted and summer heat is creeping up on my home, If anyone from our Indy community would like to help out, please do so, you may forum message me or discord message me in case any permissions or informations are needed! There is not much work left to be done, but i gotta stop for now, can't do it all alone, or i risk burnout or something. When autnum comes in a few month i want to continue with fresh new energy and may a couple more players that enjoy some new project! To @HughMongus(and @Damascus ) As far as i can see, i was deleted from your both friends list? So, further cooperation will be even harder, as i can not see if you are online, despite me being on Hugh ignore list all the time. I tried my personal best to solve any issues we have, try to communicate, but i guess, you already made up your mind, so further efforts from my side will be useless, i understand that. I only wished, Hughmongus would throw less prejudice at me, shortly before quickly put me back on /ignored list or log out. 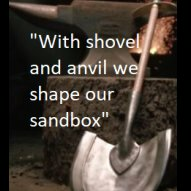 We are all human afterall, so i try not to be upset at you, i am just very disapointed, that a really COOL project like this BIIG canal digging "community" project had to recieve such loads of drama, me and the project deserved better! 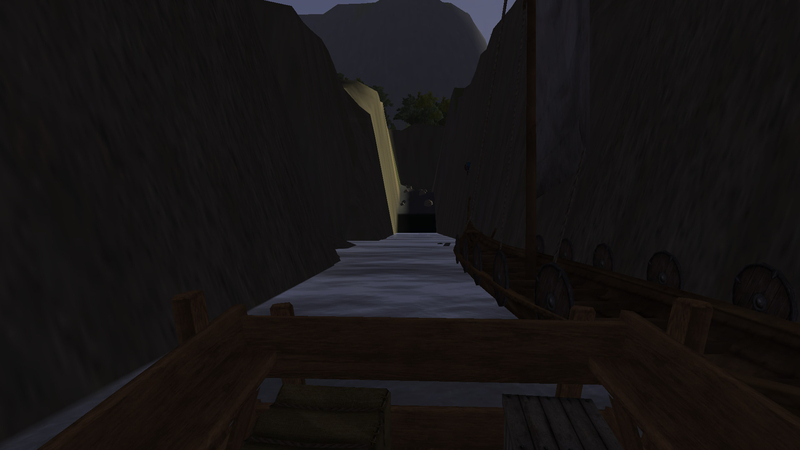 Despite all that above, the ship-route is still sailable, it is very deep canal, ALL ships are possible! Also @Damascusyou forgot to update somewhere, that the southern Tunnel / Canal is now also kiiinda finished! Damascus was granted deed access and was able to dredge the South Canal deeper! So this whole Elysian-Crystal Route is 100% fully sailable by deep ships! hurray. In any case, anyone who reads this, please help out to finish some last parts The GM i was contacted, told me it also needs more "eyecandy"
Maybe any of you fine players want to help out here, i can give you informations or maybe you can try to reach out for Hughmongus and maybe he will fill you in what and where the project runs along.